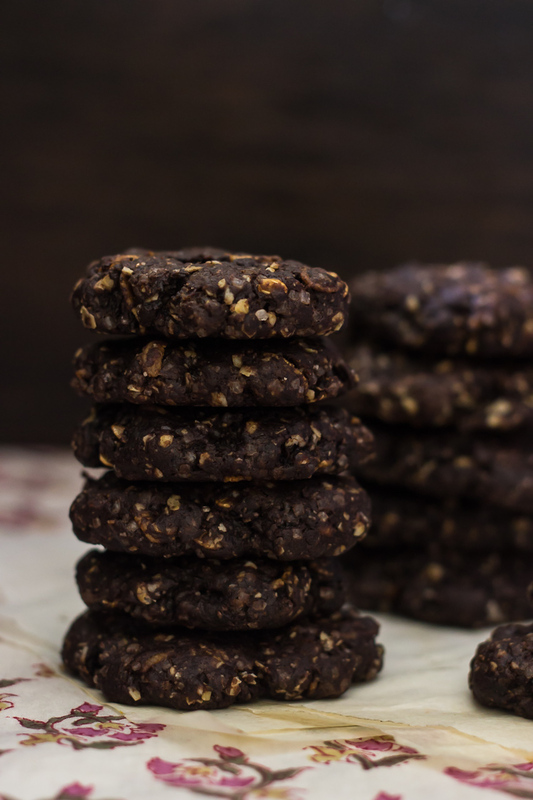 Way back in July when Deeba posted Whole Wheat and Oats Dark Chocolate Brownie Cookies on social media, I told her that I am going to make these cookies eggless and share the same. I did make them. But unfortunately couldn’t share the recipe till now. I used flax seed to replace egg in the recipe which was quite easy as there is only 1 egg used. Also flax seen adds to the nutty flavour and works well as a substitute in cookies, brownies etc. They were gooey and chocolatey as expected but in terms of appearance they were a bit more dry looking than Deeba’s, I am guessing that egg and quality of chocolate does matter. One of the best cookies I have ever made. 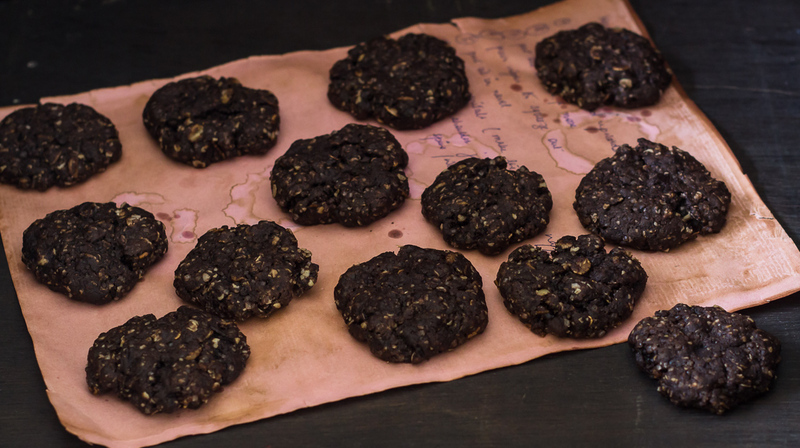 The way I like them – soft, chewy, chocolatey, intense and healthy. 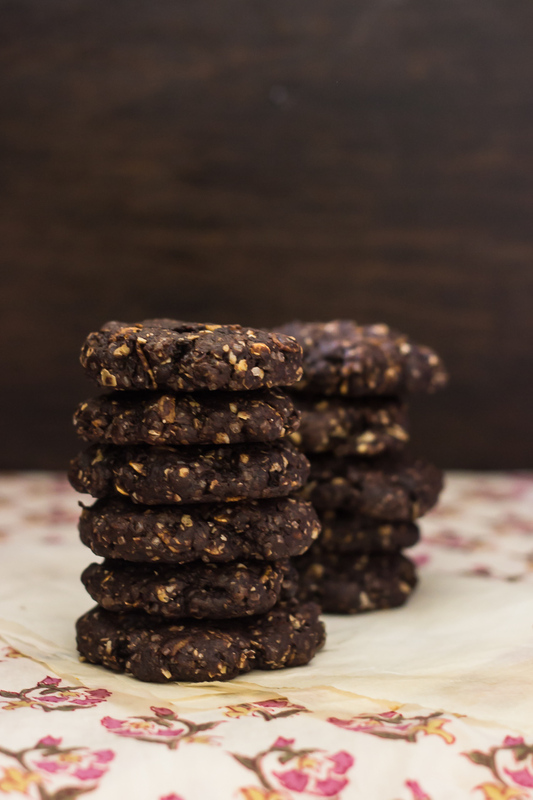 Yes, they are made of whole wheat flour, oats, flaxseed and some dark chocolate thrown in for the brownie in them. Don’t wait and make your own batch right now.